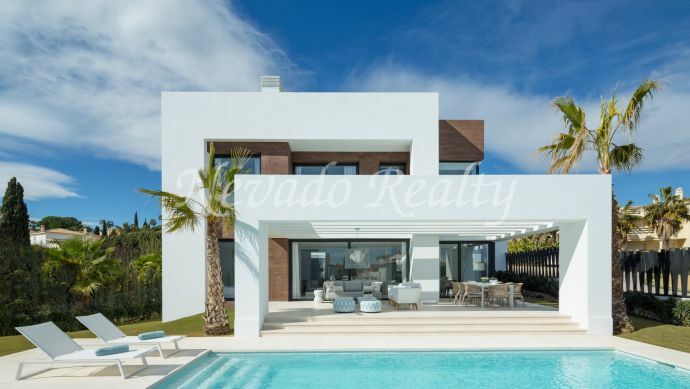 Fantastic brand new villa in a quiet and green area close to Puerto Banus and Marbella within a private and secure complex consisting of 6 luxury villas in a fresh and modern style. 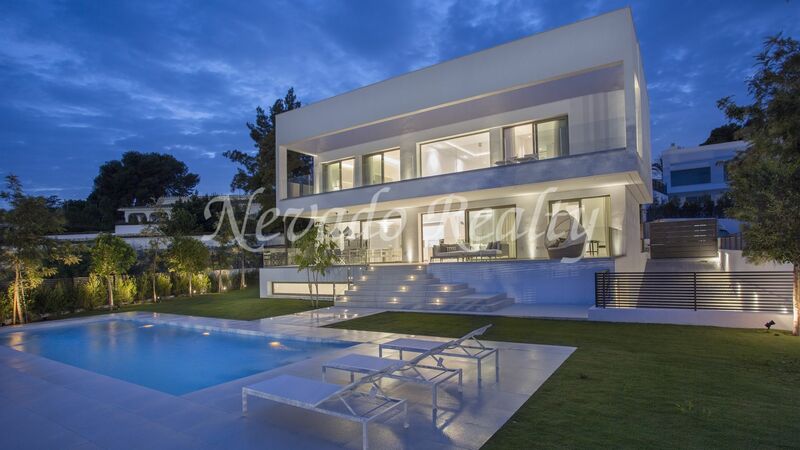 It emphasizes the quality in all the materials used, highlighting the exterior aluminum carpentry with double glazing and air chamber, interior carpentry of Román Clavero with cabinets and dressing rooms fully lined and equipped with led lighting, glass railings in interior staircase, garage door monitored , Home automation system, underfloor heating throughout the house and lift to all floors. It consists of entrance, guest toilet, living / dining room with fully equipped integrated open kitchen (Bulthaup) and Gaggenau appliances; Exit from here to the covered terrace with large porch and private garden with automatic irrigation next to the pool with internal stairs of gresite and pre installation of air conditioning. On the upper floor 3 bedrooms with bathroom en suite and exit to the upper terrace. On the basement floor, engine room, large storage room, laundry room, bedroom with private bathroom and garage with space for 2 cars. On the terrace, large open space and storage. Includes video intercom with internet connection, satellite dish, terrestrial antenna, internet network, Wi-Fi in all floors and video surveillance cameras in the urbanization. The urbanization has a well, each house has irrigation water and a pool. 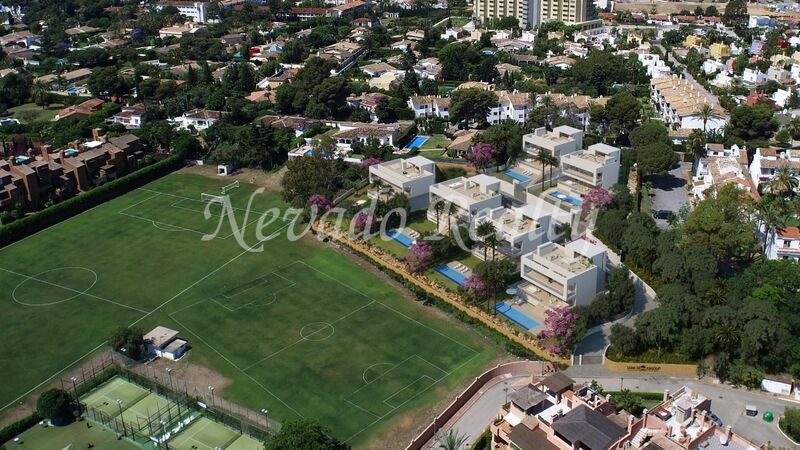 Please send me more information about ref 163-02357P, Villa in Loma de Casasola, Estepona Or similar properties.